The A-8 entered production in February 1944, powered either by the standard BMW 801 D-2 or the 801Q (also known as 801TU). The 801Q/TU, with the "T" signifying a Triebwerksanlage unitized powerplant installation, was a standard 801D with improved, thicker armour on the front annular cowling, which also incorporated the oil tank, upgraded from 6 mm (.24 in) on earlier models to 10 mm (.39 in). 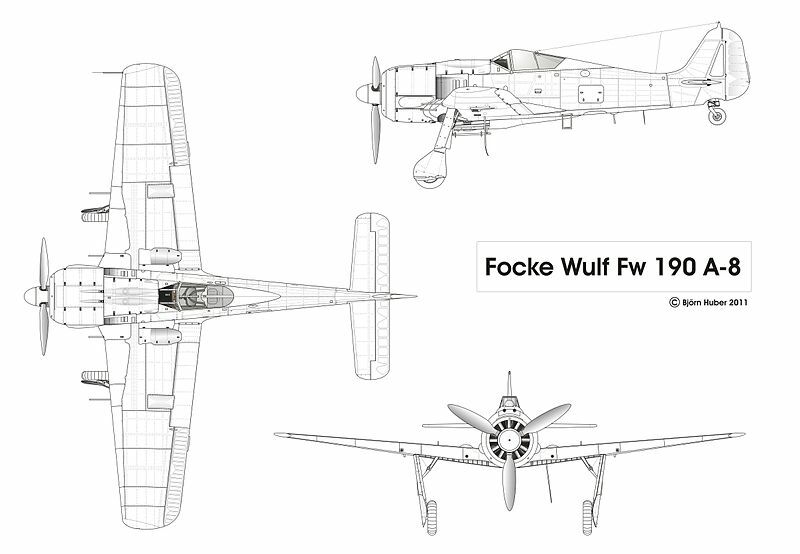 Changes introduced in the Fw 190 A-8 also included the C3-injection Erhöhte Notleistung emergency boost system to the fighter variant of the Fw 190 A (a similar system with less power had been fitted to some earlier Jabo variants of the 190 A), raising power to 1,980 PS (1,953 hp, 1,456 kW) for a short time. Fw 190 A-8/R2 - The A-8/R2 replaced the outer wing 20 mm cannon with a 30 mm (1.18 in) MK 108 cannon. Fw 190 A-8/R8 - The A-8/R8 was similar to the A-8/R2, but fitted with heavy armour including 30 mm (1.18 in) canopy and windscreen armour and 5 mm (.2 in) cockpit armour.